I've been trying to expand my knitting comfort zone, and these two things are the result of that. The first is a mini-shawl of sorts (this one), my first ever and quite imperfect! But, I still really love it. I intended it for myself, but it certainly suits my little boy well, too. 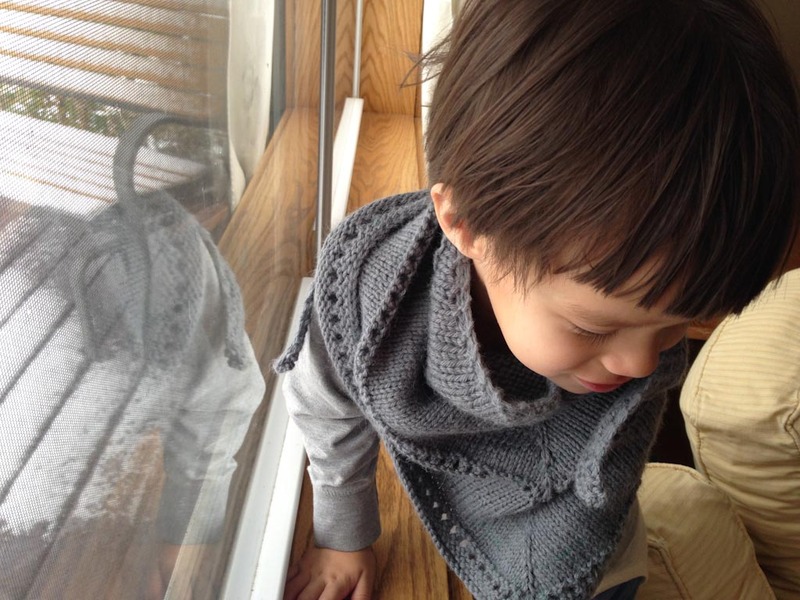 The next is this vest, which is definitely intended for the little boy. 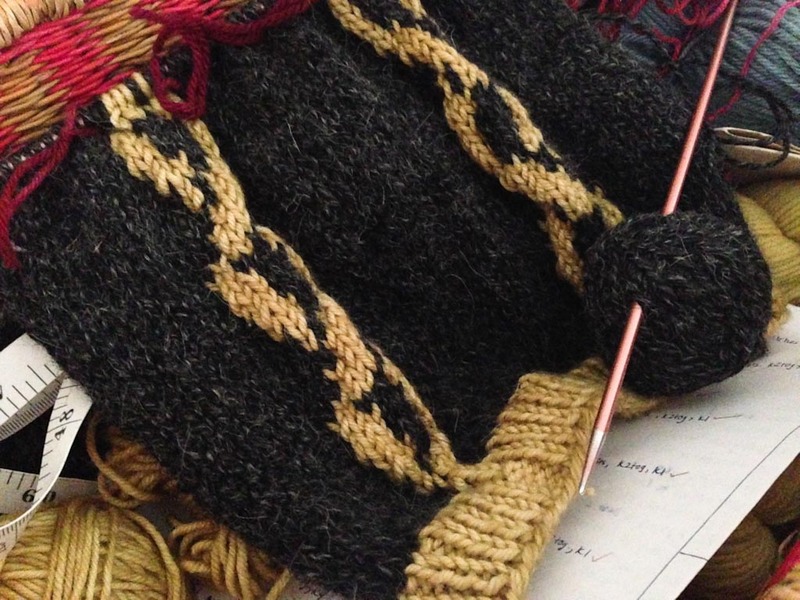 It's slow-going, but a wonderful introduction to intarsia knitting. Oh, how those charts used to intimidate me - no more! I actually found them to be really intuitive once I realized how they work. I see more intarsia and maybe even some fair isle knitting in my future. Whew! I am impressed! I knit, but after floundering and failing at several attempts with socks I've settled into just making washcloths. I need to follow your lead and get out of my washcloth rut. Maybe it would go better this time. Oh, socks! Still too scary for me ;) I worked my way up from washcloths to larger items that were basically big washcloths seamed together. You can do it, Beth! Oh lovely knitting. I've never heard of intarsia. I'll have to look it up. I'm working on the Barn Sweater for myself knit with some homespun. How wonderful! Homespun knitting is my someday dream! I challenged myself to a lace shawl with a very challenging diagram. It worked up very slowly and from the neck out. I couldn't see the shape until I bound off. It was challenging and fun for my brain. Now I am setting up a toes-up-two-at-a-time sock challenge. I am about to become disabled for a few months--no heavy work--so I need to keep my brain occupied! 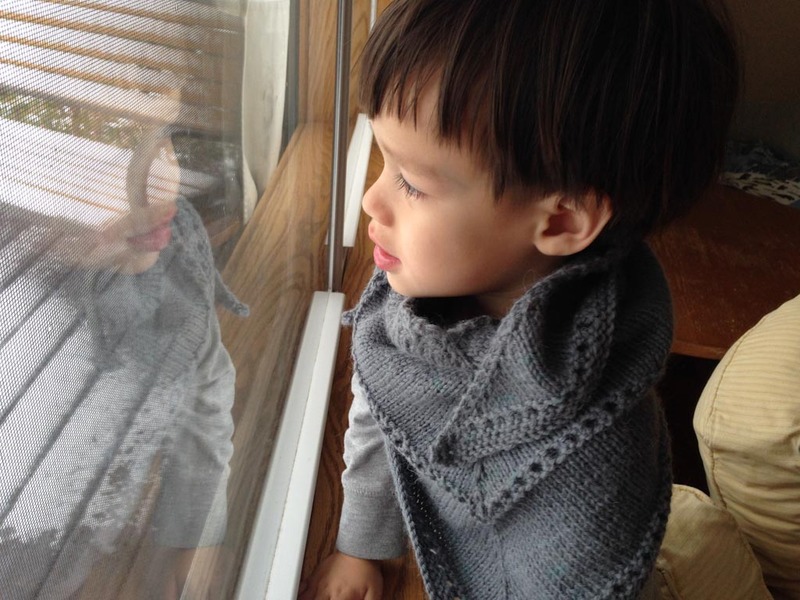 I do love that mini shawl - what a perfect project to keep a small boy (in action) warm. Funny, I will knit socks but have not worked up the nerve to tackle intarsia. Thanks, Susan! I found a good video that explains intarsia - the trick being that the working yarn has to stay underneath when switching colors. I'm sure you could pick it up really quickly!